Tour Confidential: How would you assess Rickie Fowler's career as he begins his ninth season on Tour? Tour Confidential: How would you assess Rickie Fowler’s career as he begins his ninth season on Tour? 1. 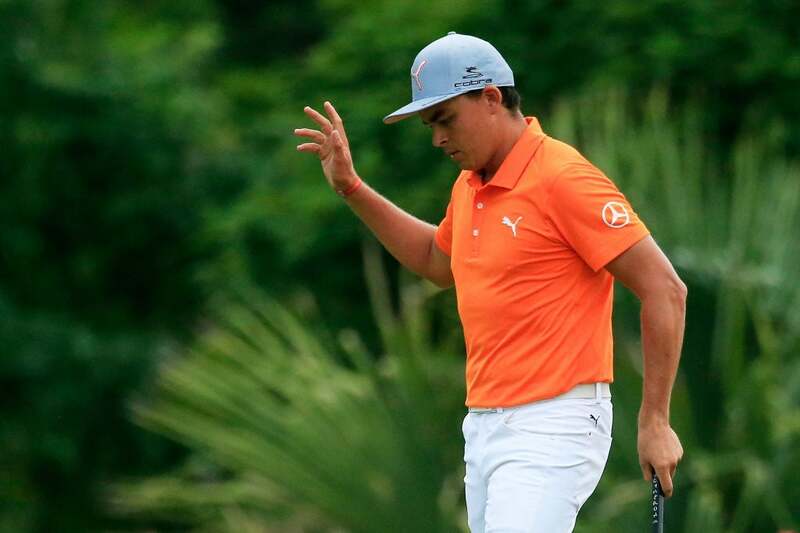 Rickie Fowler came up short in Mexico, losing to Patton Kizzire in a 36-hole final. Fowler’s six wins across the PGA Tour and European tour include a Players Championship but not yet a major title. How would you assess his career as he begins his ninth season on Tour? John Wood, caddie for Matt Kuchar (@johnwould): In a word, poised. Poised to win more and win majors, soon. At the risk of sounding like a broken record (does it scare anyone else that most of the guys we write about don’t know what a record is? ), winning anything out here against PGA Tour competition is hard. In my opinion it’s harder than ever to win on tour than ever before. The fields are so deep, the competition so close, that anyone in the field any given week is good enough to get hot and win. Remember when everyone doubted Phil, and why he couldn’t win the big one? On a smaller scale, same thing here. Rickie has shown himself to be clutch. Just look at his first win at Quail Hollow in a playoff, at his win at The Players, with a blinding finish and playoff performance, at his first Ryder Cup, where he birdied the last four holes in his singles match to come out with a half. He isn’t lacking anything. He puts himself where he needs to be time and time again, and those Big Victories will happen. And when they do, I suspect he won’t have done anything different. Michael Bamberger, senior writer, Sports Illustrated: They don’t know about records, they don’t know about LPs, they don’t know about 78s—but they know about spin rates. Rickie Fowler is having a fine career. Our expectations of who he is as a golfer are outsized because of the way he has been marketed. Sean Zak, associate editor, GOLF.com (@sean_zak): Fowler as a player will be underappreciated until he gets that major victory, and maybe even afterward. He came along at a difficult time to dominate when you consider his widespread competition: DJ, Rory, Day, Spieth, Thomas, Bubba. Until he gets that major victory, his name won’t be included among those guys, but the stats say he can be an elite player. Right now, he’s just not an elite champion. That being said, considering how we often describe players’ careers in terms of “how good they are for the game.” We would be remiss to forget Fowler has been a phenomenal role model for many in his relatively short career. Josh Sens, contributing writer, GOLF Magazine (@JoshSens): I can’t argue with any of the above, but I also think that Fowler has practiced a bit of self-denial in describing some of these close calls at majors. He has often said that he is not doing anything different when he gets into contention. But his showings down the stretch in some of the big ones have suggested otherwise. As hard as it is to win, it is even harder, I suspect, if you’re not entirely honest with yourself about what you need to do to get a different result. Witness the aforementioned Mickelson and how he recognized—and acted upon—what he needed to do to get better at the style of play required to win the British. Jeff Ritter, digital development editor, GOLF.com (@Jeff_Ritter): Rickie’s career so far has been excellent. Six wins, some strong Ryder Cup performances and as Wood mentioned, a flair for coming up clutch. Also, he no longer dresses like a magic marker, so progress made all around. But I don't view Fowler the way I once looked a DJ before he won at Oakmont—DJ was and is a special talent who suffered a few major meltdowns before finally winning one. The stats say Rickie has an elite sand game, but I'm not sure he has quite has the firepower to match up with many of his major-winning peers. His health has been fine, so that leaves desire. Does he burn to be great? Are winning majors and becoming a hall-of-famer on his list of goals? Those are the only questions left to answer. I suspect Wood is right, and it's only a matter of time, but he still has to go out and do it. Joe Passov, senior editor, GOLF Magazine: It's easy to say that Fowler has underachieved at this point, especially as he remains major-less, but I'm going to give him his due. He's clearly a member of the PGA Tour elite, with multiple wins, a mid-Major, frequent Ryder Cup and Presidents Cup appearances and an all-star personality. And hey, he's still young. Sure, Jordan Spieth and Justin Thomas have already accomplished more, but Rickie has plenty of golf left in him. He didn't win this week, yet it's a nice plum to gain an early- (wraparound) season success. 2. Steve Williams, who is best known for caddying for Tiger Woods from 1999-2011 (he also helped Adam Scott to his first major title in 2013), said in a recent podcast that 2018 will be his final year caddying. Where does Williams rank in the looper pantheon, and what made him so effective? Wood: Despite what the press may have thought about Steve as a personality, or perhaps mistakes he has made in regards to his post-Tiger career in remarks about Tiger, it’s hard not to argue he is the greatest caddie of all time. Personally, I have always had a very good relationship with Steve. The first time I ever caddied with him was when Tiger and Mark Calcavecchia paired at The Belfry in 2002. It was my first Ryder Cup and early in the week my nickname could have easily been “Deer in Headlights.” What made Steve so effective is the same thing that calmed me down in that first match….confidence. The way he carries himself, the way he communicates with his player and commands their attention. He might be wrong, no caddie is always right, but in presenting his information or argument or opinion, he is supremely confident. You might be giving your player the perfect information, but if he doesn’t believe you, or doubts you at all, you might as well be telling him to hit this next shot with a blindfold. The other thing, especially during his Tiger era, was that Steve knew exactly what his job was. It was Tiger, plain and simple. It wasn’t to get along with photographers. It wasn’t to get writers to like him. It wasn’t to get other players and caddies longing for a dinner invitation. It was the single-minded pursuit his boss had, and at that time, his had to be the exact same pursuit. Nothing else mattered. This may have cost him closer relationships during his career, but it also made him on paper the best caddie of all time. Zak: I am no authority on separating the best of the best of caddies, but the guy pulled off possibly the toughest (or was it easiest?) job of all-time by caddying for Woods during the peak of his powers and popularity. That will never be fully appreciated. In times like these, I lean on the long-winded power of the man typing before me, John Wood, to tell me who is the GOAT. Sens: Toughest or easiest. Sean raises the question. I don’t know the answer but I suspect that Tiger could have won back in the day with almost anyone on his bag. That’s not to dismiss the confidence with which Williams carried himself, which likely had something to do with him landing said job in the first place. Adam Scott has also spoken often about how much Williams helped him, so there’s no denying the guy knows his craft. Greatest of all time? I dunno. Do we have to rank everything? Ritter: GOLF.com loves its lists, Josh! But I have no idea where to rank Stevie, so Wood’s opinion works for me. Williams was on the bag for the most dominant run of golf in history. I do wish Williams wasn't such a bully to fans and press along the way, but maybe that was the only way it could work. Bamberger: He is by the far the most accomplished caddie of all-time. He was intense, hard-working, knowledgeable and not afraid to speak his mind. Sometimes, he should have been. Passov: His preparation, skill and forceful persona were the reasons Tiger hired him in the first place — and they did awfully well, didn't they? I wasn't enamored with him personally, being more of a Bruce Edwards fan myself, but it's hard to argue with Stevie's results. 3. Our Jeff Ritter recently took us inside the Major Series of Putting in Las Vegas, in which pros and amateurs alike competed for cash in a putting arena off the Vegas strip. The event’s organizers are aiming to build similar structures all over the country with the goal of launching a national putting tour. Could you see such a tour taking off? Wood: I guess that would depend on the definition of “taking off.” I could definitely see it being a fun and self-sustaining sideshow, but not more than that. Now what would be exciting to me would be is if they could get guys like Jordan Spieth, Rickie Fowler, or others we see as the game’s great putters to go up against winners of the Major Series. Putting is interesting because there is no physical reason the Average Joe couldn’t beat the game’s greats in a putting contest. Nobody is going to step up and out-drive Dustin Johnson. It just can’t happen. But there is no physical reason me or my Mom or my cousin Laurel couldn’t beat Jordan in a putting contest. So that aspect would be fun to watch. Zak: With the proper schedule and place, yes I could see it grow in size. Take off? No. It’s fun, but it was centered at the perfect time and the perfect place, during a PGA Tour week in Sin City. How many other perfect times and perfect places are out there? I’d count just a handful with Phoenix, Pebble and maybe the Players. Sens: I’m skeptical, but I was also skeptical about the long drive championships, which have “taken off” to some degree.. The problem with putting is that it doesn’t lend itself to the same sort of testosterone hype with an oomph-oomph soundtrack and smoke in the tunnel as the players come through it. This is, after all, the 21st century, when these sort of niche events seem to require the tectonics of reality TV. But maybe it doesn’t need TV to get where its organizers want it to go? Ritter: It may not take off as TV show, at least for a while, but it doesn't have to. Now that its debut event is in the books, the MSOP just needs to keep adding competitors and sponsors. It already claims a database of several thousand putters. I look at it like this: long-drive competitors represent a tiny segment of golfer-athletes that train like crazy and possess physical gifts for that event. But anyone can putt. When I was at the MSOP, it felt early (few spectators), but the seed of the idea is there. I think it's here to stay. Passov: This concept has been tried a few times, with nothing sticking. I think it's great, because putting is indeed the great equalizer, and the pressure in putting contests can be just as exquisite as in big-time golf. Still, regardless of the drive for show, putt for dough adage, golf fans dig the long ball most of all, so it's tough for me to see this kind of tour going anywhere. 4. A couple of days after the PGA of America announced that The Olympic Club will host the 2028 PGA Championship and the 2032 Ryder Cup, the Louisville Courier Journal reported that the PGA Championship will return to Valhalla in 2024. Which future major (or Ryder Cup) venue are you most excited about? Wood: Both are intriguing for different reasons. Having NorCal permanently imprinted in my heart, I’m most excited about those events coming to The Olympic Club, which is one of my favorite courses anywhere. It’s long overdue for the west coast to have a Ryder Cup and a PGA Championship. That being said, the best crowds I’ve ever encountered were for The Ryder Cup in 2008 at Valhalla. Captain Azinger had a lot to do with that, whipping them up into a “13th Man” frenzy that truly helped us win that week. Zak: Whistling Straits for the Ryder Cup! Sure, I’m a biased cheese head, but Hazeltine got me all kinds of jacked up for the best of the best playing midwest golf in the fall. Whistling’s best holes are 16-18, which concerns me since 17 and 18 might not get as much play during the matches, but with the September wind whipping off Lake Michigan, it’s bound to be wildly entertaining. Sens: The 2019 British Open at Portrush. A truly great course that we don’t get to see near enough of. Bamberger: Second that, plus LACC for the ‘23 U.S. Open. Ritter: Great choices all around. I'll add to the list the 2024 Ryder Cup at Bethpage Black, where the U.S. team will probably be captained by Phil Mickelson. You don't suppose the NY crowds will come out for that one, do you? Passov: Los Angeles Country Club's North course proved a superb venue for this year's Walker Cup. 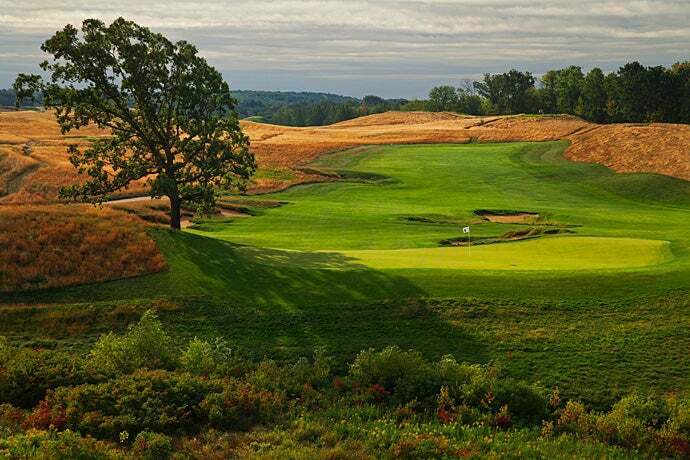 Renovated and restored by Gil Hanse and Jim Wagner, I'm predicting it will be one of the greatest major championship courses we've seen in 50 years. 5. In case you missed it, Japanese prime minister Shinzo Abe was caught on camera losing his balance, stumbling and rolling into a bunker during his round with President Trump last weekend. What’s the most embarrassing moment you’ve witnessed (or been a part of) on a course? Zak: Back in Madison for graduation weekend, I woke up deathly hungover to play a little fourball with recent grads. After nine holes, the skies opened and absolutely doused the course. Three holes later, I took the downhill, turning, now-wet cart path a bit too fast, lost control and flipped the cart onto the driver’s side. I was concussed and suffered severe chest trauma. I also wrecked my favorite golf pants. Flying home the next morning was obviously painful, but my mistake of visiting the wrong E.R. cost me dearly in hospital bills during the months that followed. My friends continue to tag me in golf cart crash posts on Facebook. Wood: Witnessed: Woody Austin bravely taking one for the team trying to extricate his ball from a water hazard at Royal Montreal for the President’s Cup in 2007. Taking a mighty cut with both bare feet in the water, Woody lost his balance, turned around, arms and club in the air, and face-planted into the lake. He earned his Aquaman nickname for the rest of the week, but goodness it was funny. Been a part of: Back in high school our team made a road trip from Sacramento to Southern California to play a few matches. One match was at Industry Hills very difficult Eisenhower Course. I was getting ready to tee off on the first hole, which had a huge barranca in front of the first tee. It was a dogleg right, and there was nowhere for my driver to go, so I was hitting a three wood which I had teed very low. Literally getting ready to begin my backswing, Coach McIntee bellowed out “That’s teed a little too low, isn’t it, Wood?” I was in shock but backed off and composed myself enough to tell him it was a three wood. “Well, it still looks like it’s teed a little low.” Stepping back up to the ball, with about 20 other pretty darn good high school players watching, I proceeded to cold top the ball about 15 yards right into the canyon. So I guess he was right. Ritter: During a high school golf match, I watched a guy on our JV team hit a tee shot, toss his bag over his shoulder, and slowly walk down a steep slope...only to then slip on the grass, topple over and careen down the hill. Bag, clubs, maybe even a shoe -- just a complete yard sale. Not sure what happened to the poor guy, but I've yet to see him on Tour. Sens: Some years ago, I played Cypress Point with a notoriously ill-tempered editor. On the famous 16th hole, he pumped his first shot into the ocean. And his second. And his third. And his fourth. The rest of us started walking up and around the inlet toward the green, but our persistent and increasingly pissed off fourth kept firing away back on the tee. Five balls. Six balls. Seven balls. Eight balls. I lost count, but at least I didn’t lose the last shred of my dignity. I have another story about a hungover punk rock singer who soiled himself while playing, but I’ll spare you any further details. Passov: So many hideous memories from which to pluck just one...but I'll go with my first time playing Pebble Beach, as an 18-year-old in 1980. Flush with confidence after a remarkable two-putt par at 17, I heeled my 4-wood tee shot into the ocean at 18. I then took a few more blows to reach the front-right greenside bunker. With a sizable gallery on hand, I took four swipes from the bunker, without extricating the ball. My fifth attempt saw the ball land on the green, and my ears took in a bittersweet mixture of applause and laughter. I two-putted for a 13, and slunk away in shame.